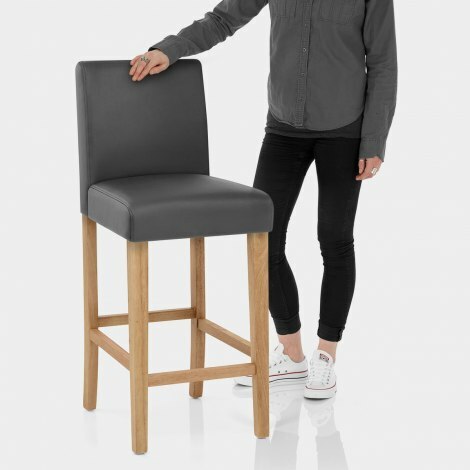 The beautifully crafted Tetbury Oak Bar Stool Grey Leather is a chic item of furniture that will proudly take its place at your kitchen or breakfast bar. The perfect combination of cool and classic design, the Tetbury Oak Bar Stool is one to remember. 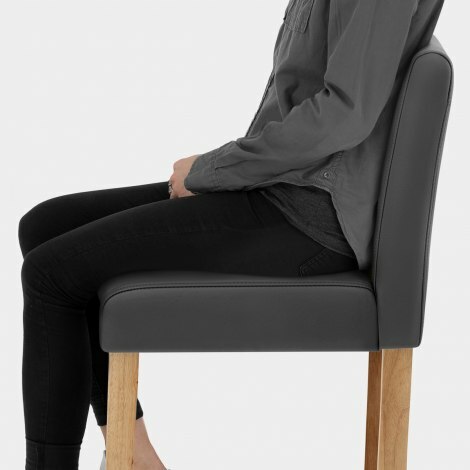 The sprung and belted seat is padded and covered in grey genuine bonded leather, which gives the whole item a luxury touch. Plus, the high backrest has stitch detail for subtle style. Fixed at standard kitchen counter height, this item is enhanced by the solid wooden frame below, with a natural oak finish for added character and visual impact. 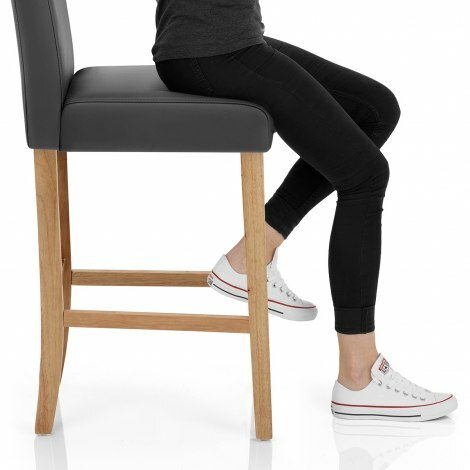 The four legs have struts between to make the whole stool more rigid, with the front doubling as an ideally placed footrest for further support. The Tetbury ensures your floors remain protected with the rubber plugs underneath the legs. "Lovely stools, great value, excellent customer service"
The stools are everything that your web page said they would be. They were easy to assemble and look great. Delivery was prompt and on time. I bought 3 of the Tetbury Oak stools and am extremely pleased with the quality of the product and the excellent customer service from Atlantic shopping. Lovely stools , great value, excellent customer service and delivery.